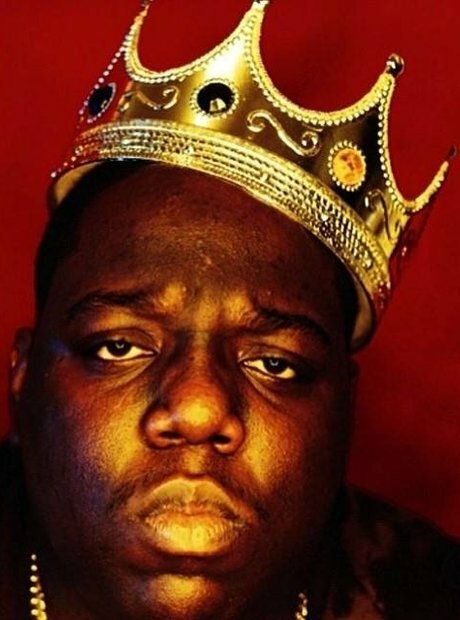 Twenty years after his death, join us in looking at some little known facts about the hip-hop legend Notorious B.I.G. 1. The reason why Biggie Smalls became The Notorious B.I.G. The name Biggie Smalls came from a 1975 movie called 'Let's Do It Again,' in it Biggie Smalls, played by Calvin Lockhart, was the leader of a gang. It wasn't long before Lockhart sued, and Biggie was forced to change his official name to Notorious B.I.G. 2. Notorious B.I.G was not supposed to be in the LA on the night of his death. Biggie was suppose to be on a plane to London on the night he died, but instead went to a party in LA to celebrate finishing his second album 'Life After Death.' Diddy recalls; "That morning I got a call from Biggie. ... He was supposed to go to London. He called me and said, 'I'm not going to London'." Diddy continued: "The call just plays over and over in my head… What if he would have just got on the plane?" 4. Biggie had some pretty famous school-mates. Biggie went to George Westinghouse Information Technology School in downtown Harlem, the same school that Busta Rhymes, DMX and Jay Z. The baby is now a 20-year-old basketball player called Keithroy Yearwood living in the US. What did he make for appearing on the album that would go down in history and be regarded as one of the best albums ever to be made in hip-hop? $150. 7. Sean Combs made a touching eulogy at Biggie's funeral. 8. The last song Biggie ever recorded was 'Victory'. The track, recorded for Puff Daddy's debut studio album 'No Way Out' in 1997, was recorded on 8th March, one day before Biggie was killed. Biggie's teacher told him that he would likely be a garbage collector when he was older, his mum recalls Biggie telling the story of how he did some research and got back to the teacher the next day, saying; "A teacher makes a starting salary of $22,500. A garbage collector starts at $29,000…You said some of us inside here are gonna be garbage collectors. But we're gonna be making more money than you, so that's cool." 10. Biggie was arrested seven times in all. 12. Biggie's vital statistics were 6’1 tall, 395 lbs. At the time of his death at least, as it is the weight on the coronor's report. 13. Biggie had to use a cane for the last few months of his life. 14. Notorious B.I.G ghostwrote songs for Lil' Kim. 16. Biggie and Diddy have identical tattoos. Many have documented that after Biggie got Psalm 27, which reads "The Lord is my light and my salvation; whom shall I fear?..." tattooed on the inside of his forearm, Sean Combs (Puffy as he was then known) got an identical tattoo done in exactly the same place on his arm. 19. Biggie was nicknamed Chrissy-Pooh by his mum. Biggie – real name Christopher – was given his name after the Winnie The Pooh character. His mum Voletta Wallace confirmed she called her Chrissy-Pooh when he was a kid as a nickname. 20. As his funeral ended, the instrumental of 'Miss U' was played.